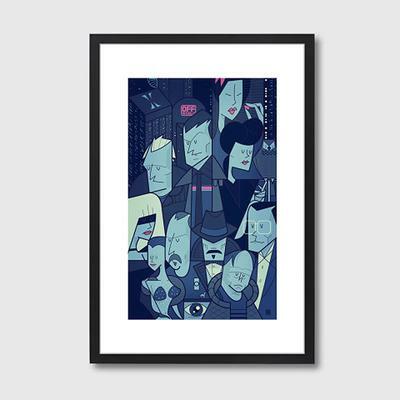 This Blade Runner Frame Print will make every fan of the movie squeal in delight! The artwork is created by artist Ale Giorgini and it features caricatures of the main characters in wonderful single hue. The print is placed under sleek white matting with a black wooden frame. It's fully protected from damage under shatterproof and tough Perspex glass. You won't have to worry about damaging this at all. You can hang this in your living room or give this away as a gift. It will make fans of the movie really happy.